It’s definitely been awhile since I’ve posted here. In the past, I’ve mentioned that I’ve simply outgrown the free version of WordPress and would soon need to upgrade. Well, the good news is that that’s finally happening! Woohoo! You can’t see me, but I’m totally doing a happy dance. Starting next month (likely), I’ll be giving this blog a complete remodel. New banners, new format – new look. In addition to the daily YouTube videos on my channel, I’m hopeful that I’ll be making daily supplemental blog posts here, which will feature additional content not included in the videos. I’m so excited to really focus on this new-ish endeavor and see where it takes me! Now, let’s take a quick look at what’s going on in the garden! The daffodils are blooming here! So exciting! I can’t even begin to tell you how happy I am to see their cheerful faces after this long, cold winter. The temperatures here are still pretty sporadic. It was in the 60s (F) on the day I took this photo. Right now….well, it’s snowing! The anemones have also burst into bloom with the arrival of longer days and warmer temperatures! These ‘Mr. 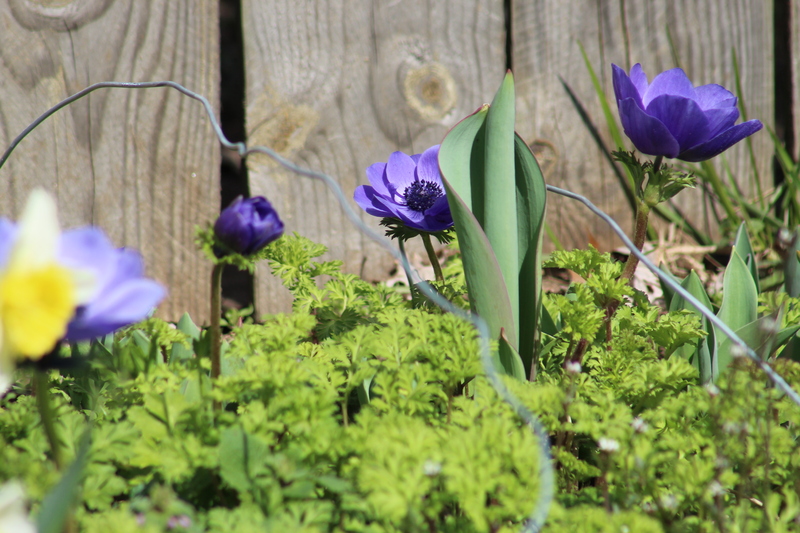 Fokker’ anemones were planted last fall and overwintered using a not-so-well-constructed piece of plastic sheeting and a little bit of wire. Nevertheless, I think they look absolutely gorgeous! My winter sowing containers are also off to a fabulous start. This year I started several of the bottles extremely early, as a means to show you wonderful people the process. I’m so happy to say that even the tender annuals I’ve planted look great! Above is a bottle of marigolds. They’ve survived a few frosts already in their bottles, so I’m not too worried about them until spring. 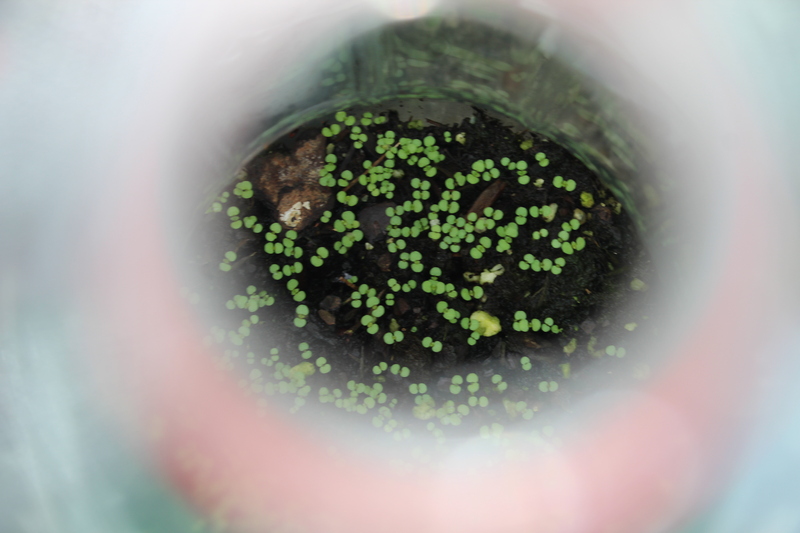 This bottle of mint is also doing well. 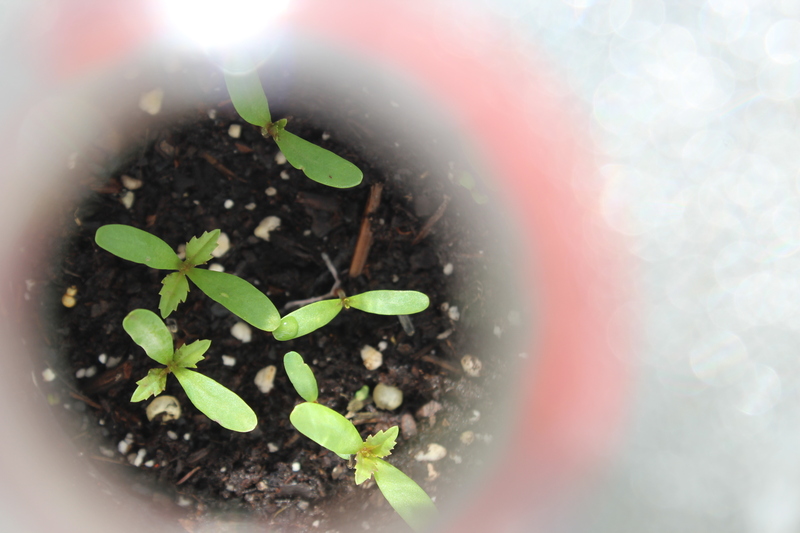 While I’ve had little success germinating mint in the past, but it definitely “winter sows” like a dream. I’m looking forward to having a large, luxurious patch of mint this season! Nasturtiums are another one of my absolute favorite edible garden flowers! Not only are they gorgeous, but the plant is so versatile. Between its vibrant petals and potential as a trap crop for aphids, I’ll always have this beauty in the garden. Lettuce is coming along quite nicely. These will be ready to transplant outside in about a week. These are garbanzo beans! It’s my first time growing these, and I’m really eager to see how it goes. Hopefully, they’ll enjoy the cool spring weather. That’s it for this update. I’m so eager to get started with this blog makeover! I genuinely hope that everyone will like the end result. As always, feel free to leave any questions or comments down below. I hope you’re having a wonderful day! Thanks so much! I’m so excited for another growing season!